Southern Illinois University Edwardsville promotes sustainability through a variety of campus initiatives. The U.S. Environmental Protection Agency (EPA) ranked SIUE among the Top 30 universities nationally in green power usage. We have more than 17,500 square-feet of green roof space. A portion of the space is used to grow fresh produce, which is used by Dining Services to prepare student meals. All new campus construction is Leadership in Energy and Environmental Design (LEED) certifiable by the U.S. Green Building Council, and SIUE is second in the region for the number of LEED buildings on university campuses. 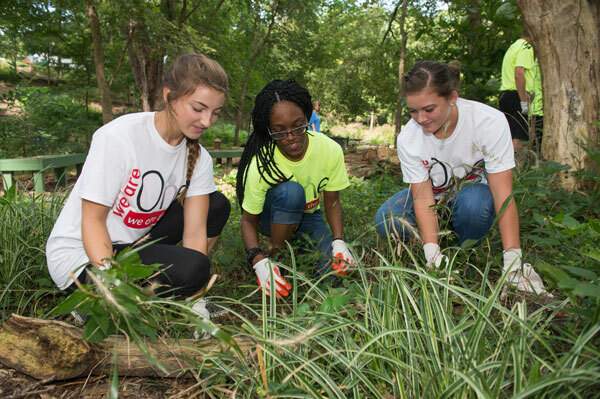 SIUE has achieved a Silver rating for campus-wide sustainable practices from the Association for the Advancement of Sustainability in Higher Education. Have you thought about sustainability as you consider college choices? If so, you already think like an SIUE student.